Chili and pineapples kind of go together. The tropical combo of spice and tart-sweet citrus also generates heat, making it the perfect thing to drink during a cold snap. 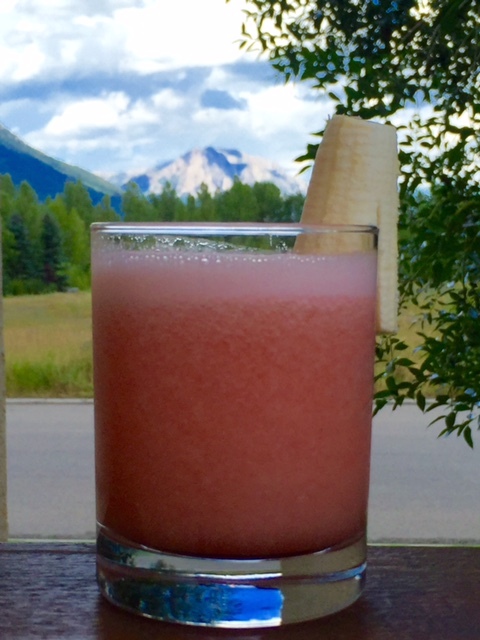 That was the thinking when my husband ordered The Sawback at Park Distillery in Banff last weekend. 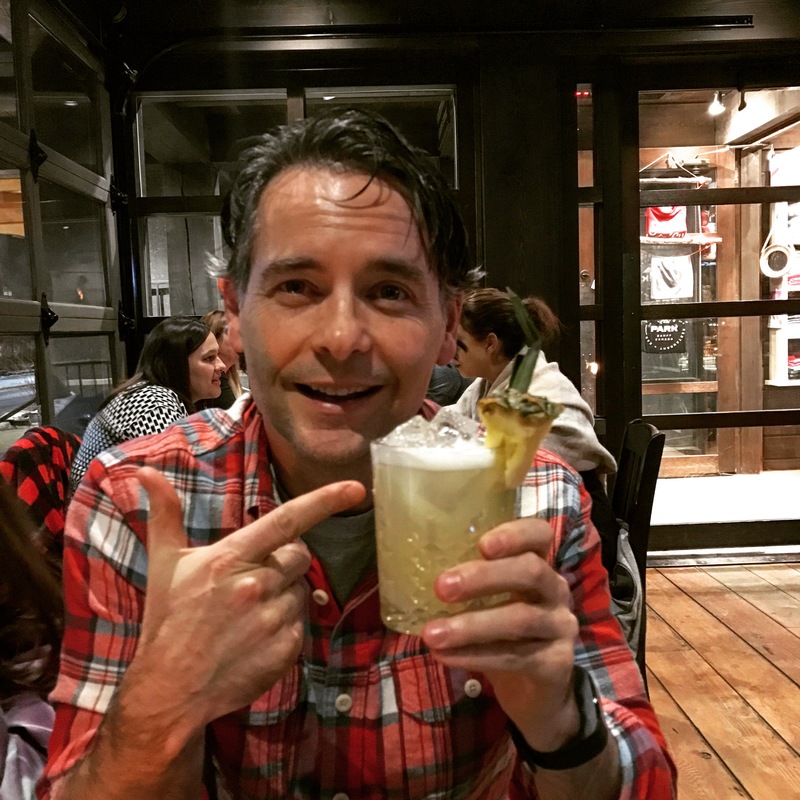 He was intrigued by the idea of chili-flavoured vodka and quite liked the cocktail, which is named for a hiking trail that travels 74 kilometres between Banff and Lake Louise along the rugged Sawback range. Blake loved The Sawback cocktail at Park Distillery in Banff. It was our first visit to Park and we liked everything about it. It’s kid-friendly, has great campfire-infused food (delicious rotisserie chicken and cheesy fries served in camp mugs!) and the cocktails are made with spirits crafted in-house. Park makes a white (un-aged) rye whiskey, an alpine gin and four flavours of vodka. If you haven’t been, go west to check it out. In the meantime, shake up The Sawback at home. This yummy spicy vodka number from Park Distillery in Banff is just the thing to transport you — vicariously — someplace warm. Method: Combine ingredients in a cocktail shaker and shake with ice. Strain into a rocks glass over fresh ice. 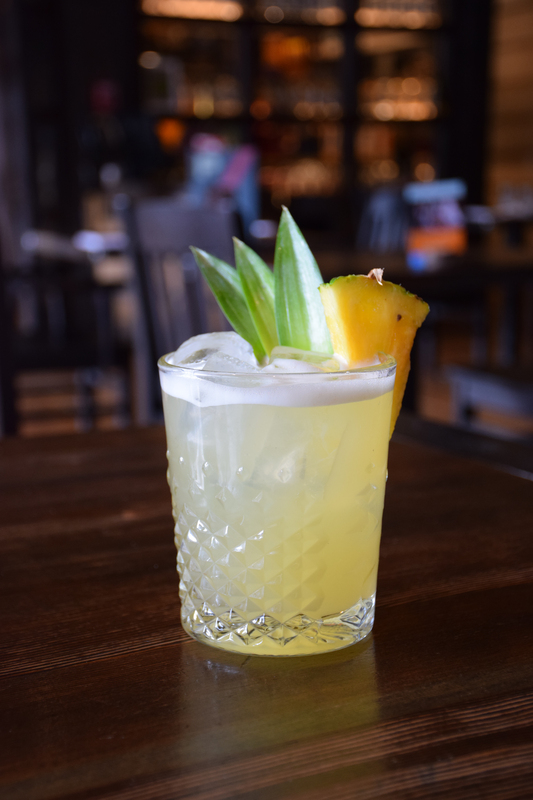 Garnish with a pineapple wedge and palm frond, if handy. Bagasse is the fibrous matter that’s left over after sugarcane stalks or agave hearts are crushed to extract their juice. The bagasse is then either turned into animal feed, or composted and turned into fertilizer. But don’t let the fate of the agave fibres dissuade you from trying this delicious drink. 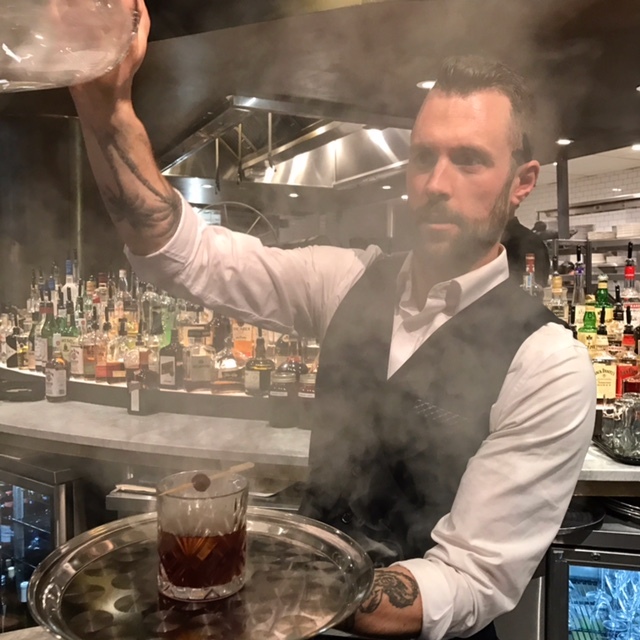 The Bagasse appears on Proof’s latest cocktail menu, which features drinks created by its talented bar staff. 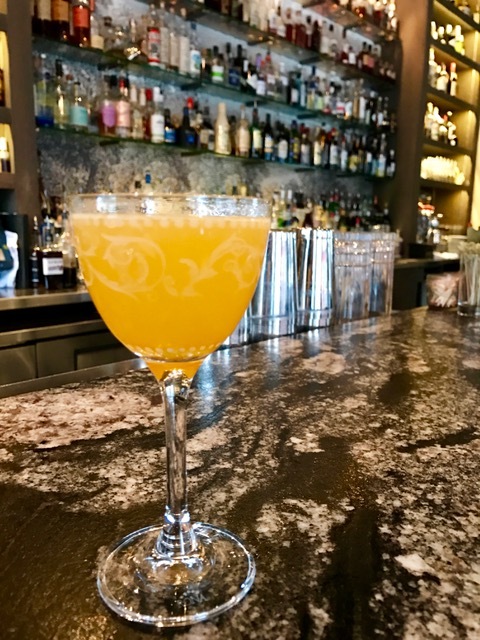 This one is the brainchild of managing partner Tony Migliarese, who visited the Tequila region of Mexico not long ago, and so loved the taste of roasted agave he wanted to capture its honeyed richness in a cocktail. 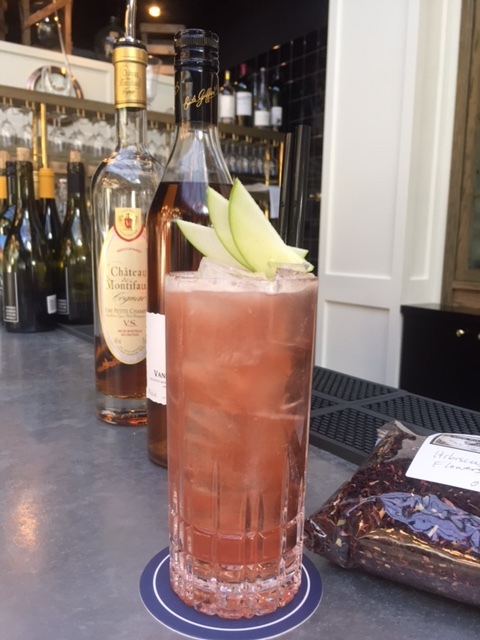 This cocktail from Proof combines tequila with apple brandy and cinnamon syrup for a rich and delicious drink. I’m a big fan of both tequila and agave (roasted, or in syrup form), and I love how the drink plays up those tastes with cinnamon and the round flavour of apple. A small amount of turmeric bestows an air of mystery and a lovely colour. Bonus: the Bagasse is pretty easy to recreate at home with such straightforward ingredients — just add a couple cinnamon sticks to your simmering simple syrup, and voila! Method: Combine ingredients and shake with ice. Double strain into a coupette. I really like Cocchi, a sweet vermouth from Italy. It’s made using a Moscato wine base that’s then infused with herbs and spices, including gentian, cinchona bark and bitter orange peels. The result is a fruity, raisiny and spicy vermouth, with a touch of bitterness. 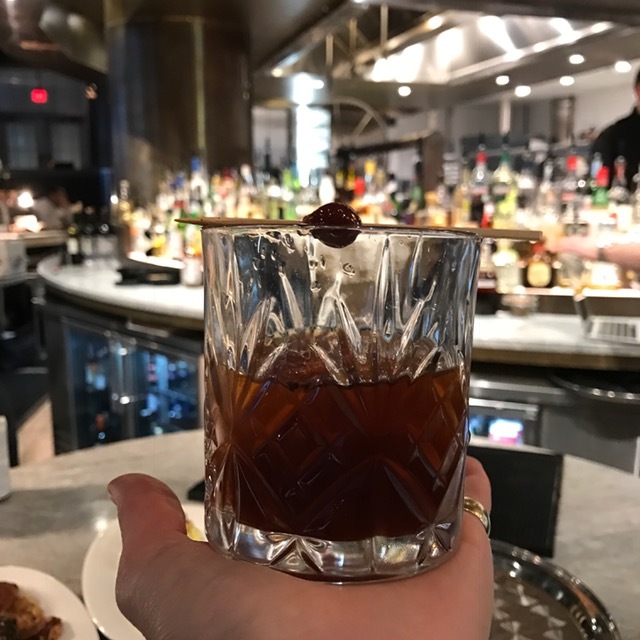 I learned all this during a crash course in “vermouth vs. amaro” several weeks ago, and now I have the difficult job of trying out recipes that showcase each. Cocchi Vermouth di Torino is a high-quality sweet vermouth from Italy. First up: the Cocchi vermouth. 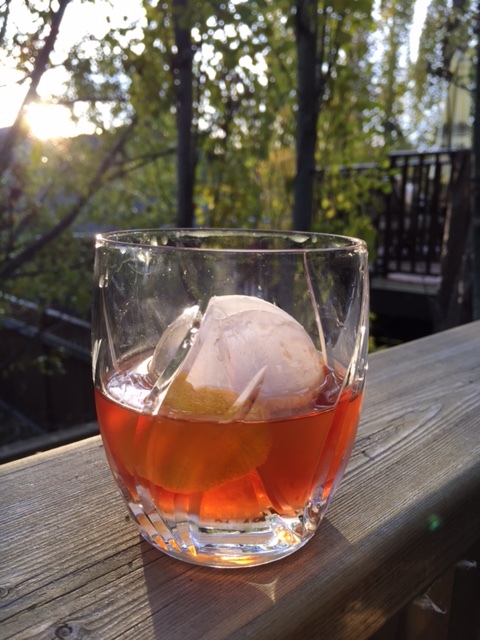 Why not use it to make a Tequila Manhattan, a twist on the classic cocktail? When you add a bit of jalapeño syrup for smoky sweetness, and a dash of orange bitters to keep its edge, you have the makings of something spirit-forward, but smooth and round. I like-y. Smooth tequila and sweet vermouth combine in this twist on a traditional Manhattan. Method: Combine tequila, vermouth, jalapeño syrup and bitters in a mixing glass with ice. Stir for about 20 seconds. Strain into a rocks glass over a large ice ball (optional). Squeeze in orange zest, rim glass with orange peel and drop in. Method: Combine sugar and water and heat until sugar is dissolved. Add jalapeño and simmer for about 10 minutes. Remove and let cool. Strain out jalapeño and store syrup in a sealed container in the refrigerator for up to one week. It seems a stretch when people describe cocktails as sublime or divine or heavenly. Like, can a drink taste so good it inspires awe? Well, the aptly named Heavenly Hibiscus, created by James Nguyen of Royale Brasserie Francaise, comes awfully close. You’ll have a hard time stopping once you start siping this vanilla, cognac and hibiscus taste sensation, aptly named the Heavenly Hibiscus. In fact, once I started sipping I had a hard time putting down the glass, so intoxicating is its combination of cognac, vanilla liqueur and apple juice. It’s strong and rich, with the heady scent of vanilla transformed into something drinkable. There are also hibiscus flowers in there — Nguyen makes his own cordial (see recipe, below) — and a splash of lemon juice for tartness. 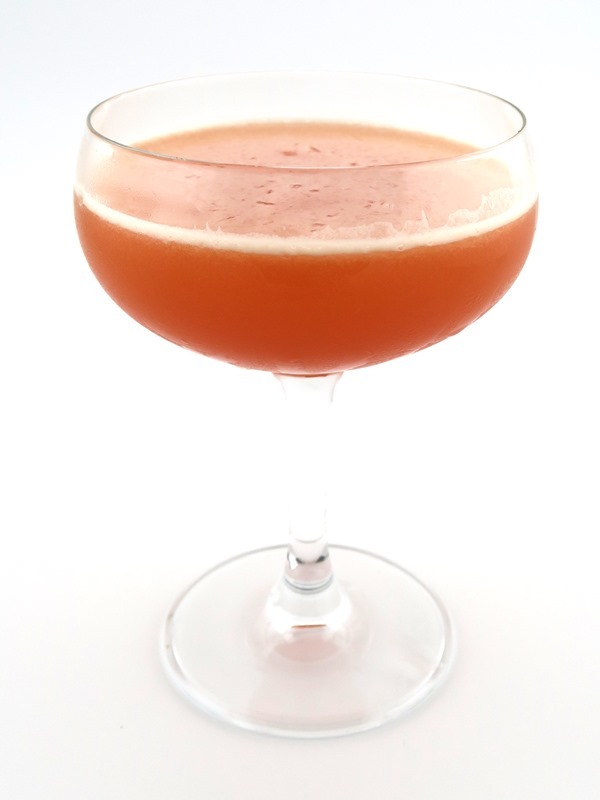 The drink is intended to demonstrate that cocktails made with cognac can be light, long and easy to drink. I may have asked him for a to-go cup (request denied). Method: Combine ingredients in a cocktail shaker and shake with ice. Strain into a Collins glass filled with fresh ice and garnish with three thin apple slices artfully arranged on a skewer. Method: Combine sugar and water and heat until just simmering and sugar is dissolved. Remove from heat and add hibiscus flowers. Let steep like a tea. When cool, strain out flowers and refrigerate cordial.